Spinal stenosis occurs when the spinal column narrows. This process can compress nerves in the spine and cause back pain and numbness that can run into the arms and legs, depending on which region of the spine is affected. If you’re suffering from spinal stenosis in Miami, your back doctor may recommend a decompression procedure. There are several different factors that can contribute to spinal stenosis, but here is a look at some of the most common ones. In many cases, spinal stenosis is caused by wear and tear injuries associated with osteoarthritis. As the bones become weakened, spurs may grow. These bone spurs take up space in your spine and cause the spinal column to become narrow. As the spurs press on nerves in your back, you may begin to experience the back pain and tingling associated with spinal stenosis. This kind of spinal stenosis is most common in older people. The vertebrae that run up and down your spine are separated by spongy discs that cushion the bones and prevent them from clashing together. These discs can become damage through injury or age, which causes them to slip out of their normal positions and press against the nerves in your spine. When this occurs, the discs are said to be herniated. 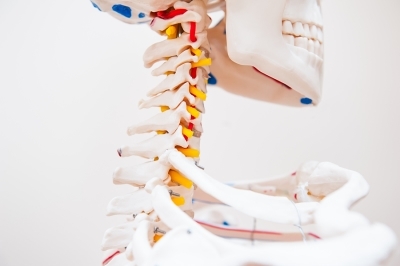 Often, herniated discs are treated with spinal surgery. Acute injures can also lead to spinal stenosis. When a vertebrae fracture occurs, the displaced bone can become lodged in the spinal canal and press against the nerves. In some cases, tissue in the back can swell after an injury, which also puts pressure on the spinal canal. This kind of swelling can happen after an injury or during the recovery from another back surgery. Depending on the nature of the injury, waiting for the injury to heal could alleviate the spinal stenosis, or further treatment may be necessary.